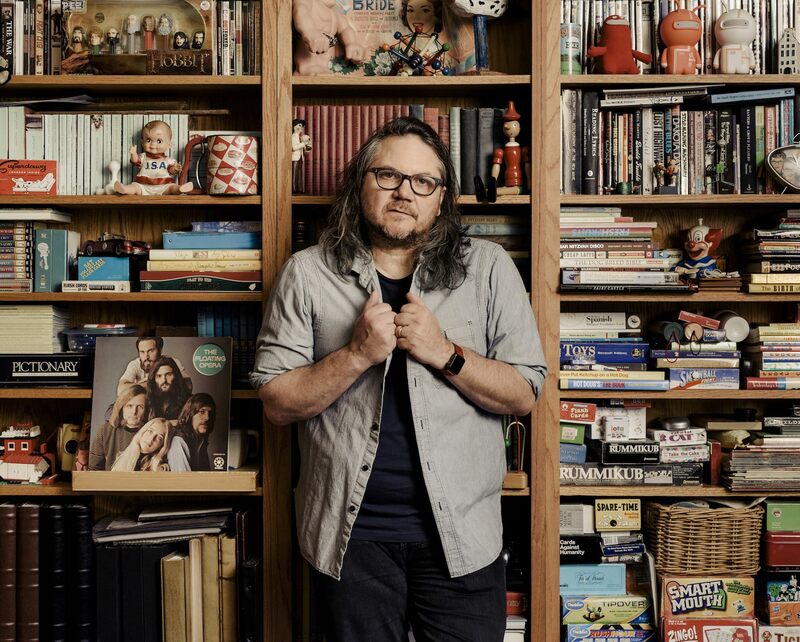 Jeff Tweedy has released WARM, a solo album of all new material, on dBpm Records. WARM was produced and recorded entirely by Jeff at Chicago’s now legendary studio, The Loft (with help from some of his usual collaborators – Spencer Tweedy, Glenn Kotche and Tom Schick). WARM follows the acoustic retrospective release, Together at Last (2017), and Wilco’s 2016 album, Schmilco. The incredible liner notes for WARM were written by George Saunders and are available to read in full at the New Yorker. Jeff is currently on a solo tour of North America (tickets are available at wilcoworld.net). His long-awaited memoir, LET’S GO (SO WE CAN GET BACK): A Memoir of Recording and Discording with Wilco, Etc., is out now. In LET’S GO (SO WE CAN GET BACK), Jeff writes candidly and compellingly about his past, his songs, and the people who have inspired him. It’s a portrait of an artist in his most reflective and creative state. Jeff Tweedy performs I Know What It’s Like on Jimmy Kimmel Live. Jeff Tweedy’s solo tour in support of WARM begins Feb. 27th in Iowa City, IA. Dates and tickets available at www.wilcoworld.net.